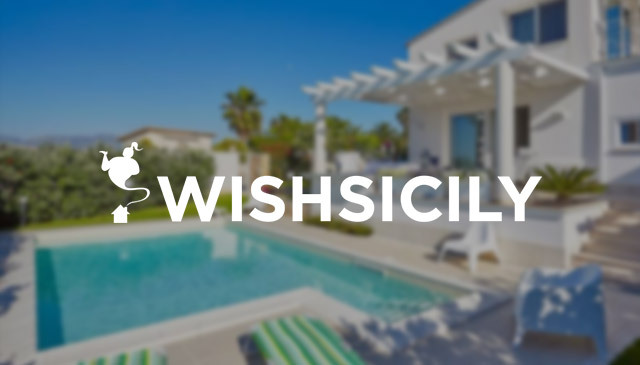 Some of the questions that crop up repeatedly amongst our guests involve driving in Sicily – particularly what it’s like to drive in Sicily, whether a car is absolutely essential and whether there are restaurants and shops within walking distance of the villa. The truth is that if your villa is in a rural location, a car is generally recommended. In fact, even if your villa is near to shops and other services, there’s no doubt that having the independence of your own rental car to explore will definitely enhance your holiday. Travelling by bus or train can take time and will limit you to visiting the main towns and cities. Of course sometimes, even if you have a rental car, it’s nice to just stroll out to a restaurant for dinner or wander into town for a gelato without thinking about getting in the car and a selection of our villas are in towns or locations where you can do just that! Read on to see our pick of villas that are within walking distance of restaurants or the shops. Stay at Casa del Carrubo and you can stroll down to the lovely Lido di Noto beach or, in the evening, to the family-friendly Ristorante Pizzeria L’Ulivo. 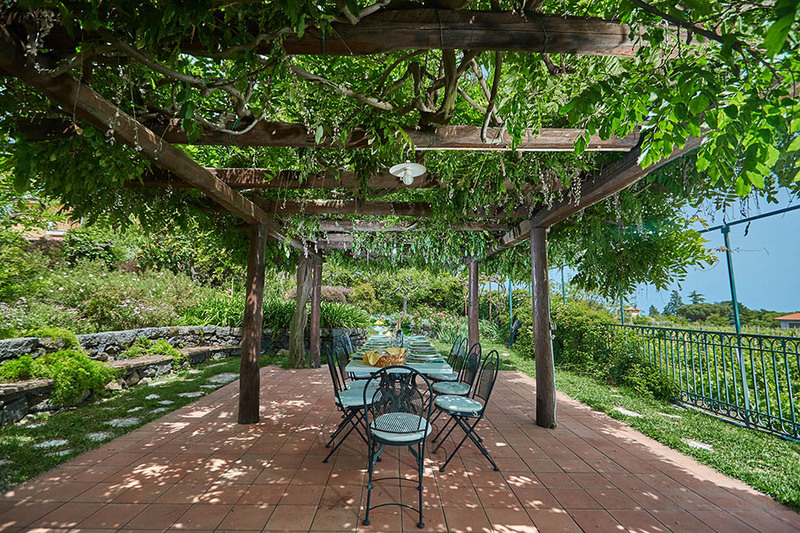 Around 15 minutes’ walk away in Calabernardo, there’s a grocery shop and more restaurants. 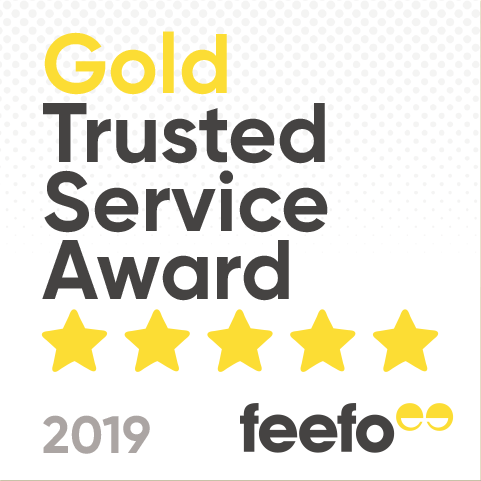 With a private pool, jacuzzi and fabulous garden with outdoor kitchen, you’ll be hard pressed to tear yourself away from the villa but don’t miss out on the glorious honey-coloured baroque palaces and churches in nearby Noto, or the charm and ancient history in Syracuse. 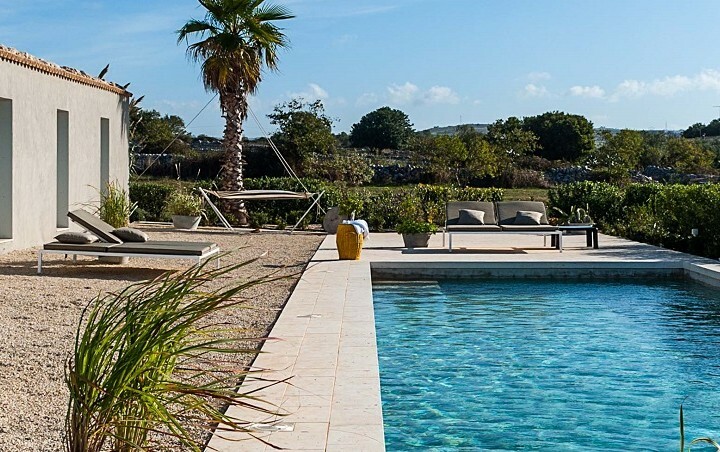 Walk to the shops and restaurants from Villa Renata, a seafront villa in Fontane Bianche in south east Sicily. The popular resort has plenty of supermarkets, bars, restaurants and pizzerias and a pleasant easy-going vibe. 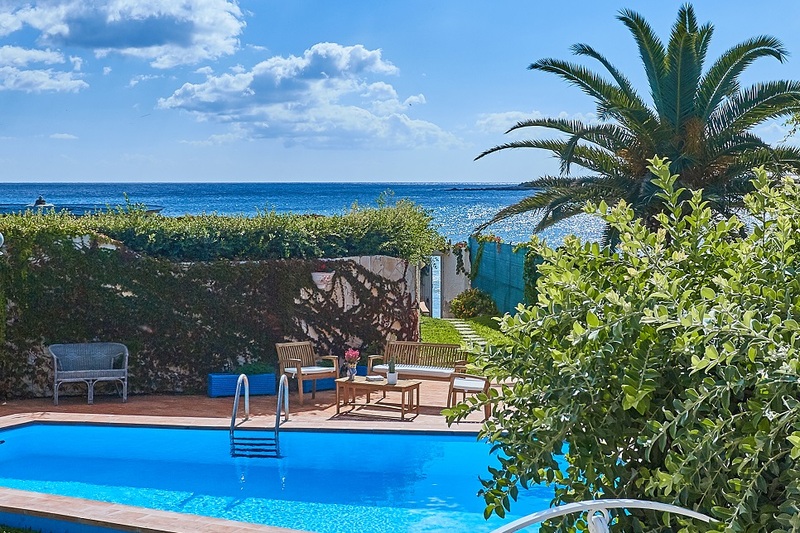 With its own pool and direct access to the beach, you’ll only need the car if you want to visit local towns or explore some of the more remote beaches that fringe this spectacular corner of Sicily. One of our favourite beaches is the dazzling horseshoe-shaped Calamosche beach on the edge of the Vendicari nature reserve. If you like the idea of being based in a town, but prefer the freedom of staying in a villa to a hotel, you’d be hard pushed to find a better location than Piazza Duomo 36 in Ragusa Ibla. There are stunning views of the magnificent Duomo di San Giorgio from your balcony, or just sit and watch the activity in the town’s main piazza below. In the evening, step out for your ‘passeggiata’ through the narrow lanes and alleyways before a leisurely dinner in one of the many cafés that line the streets and small squares. 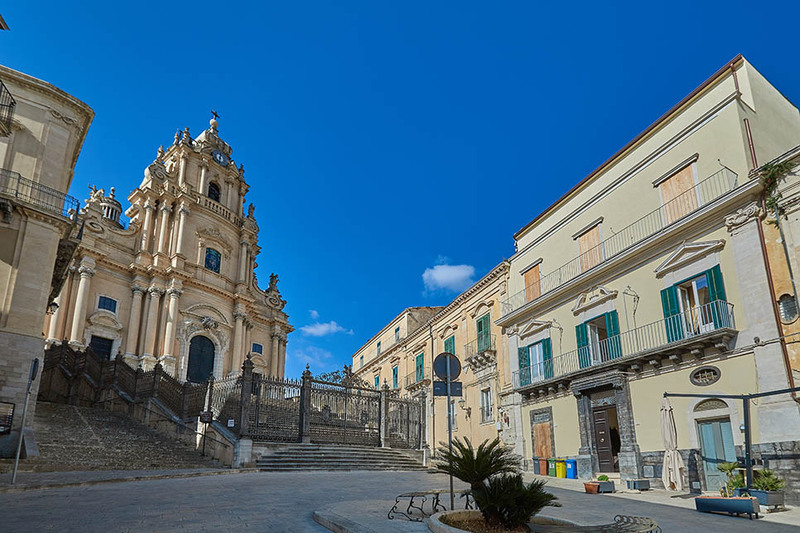 From Ragusa Ibla, you can take day trips to other local UNESCO world heritage towns such as Modica and Scicli, or head for the white sandy beaches and crystal-clear waters that fringe the coastline. 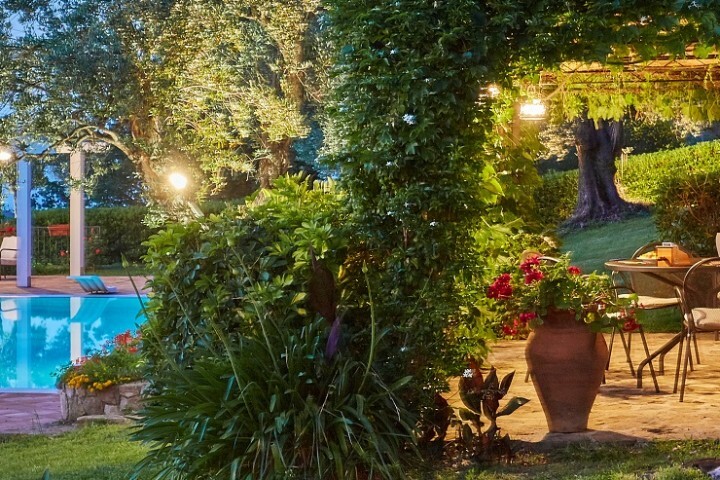 One of the joys of holidaying at Villa Rosa Antica on the outskirts of pretty Trecastagni is the chance to experience life in a Sicilian town. There’s a good selection of restaurants, pizzerias and shops so you can pop out for supper or into town to do your shopping without using the car. 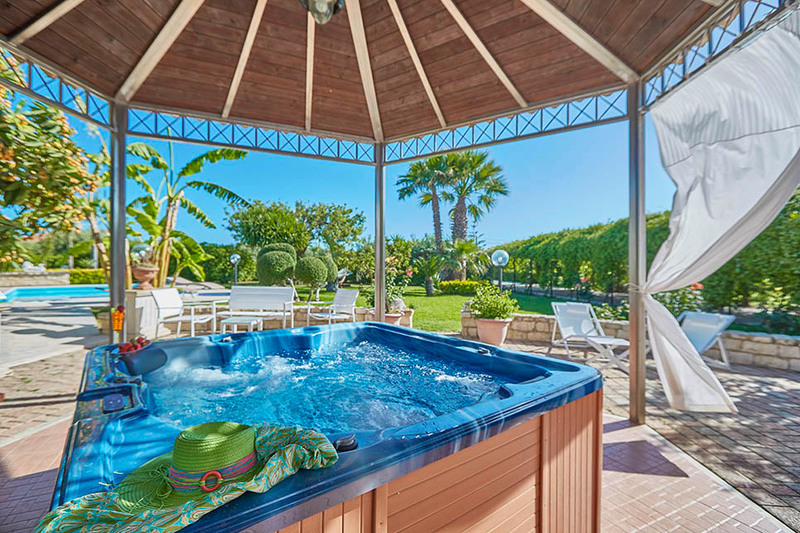 The traditional villa is very spacious, with a lovely mature secluded garden and pool. When you do feel like going further afield, a trip up Mount Etna is a once-in-a-lifetime experience and the towns of Catania, Acireale and Taormina are within easy reach. Local beaches, around Acireale and Acicastello, offer some of the best views of the Isole dei Ciclopi.